Hats and Hair Loss: Is Your Headgear Making You Bald? 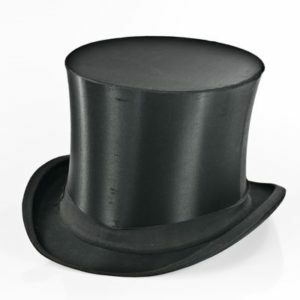 From top hats and bowlers to beanies and snapbacks, headgear fashion may change but hats are always popular. And with the weather getting colder, you may find yourself wearing a hat more frequently to keep your head warm. But wait – could this be bad for your hair? Can hats cause hair loss? How common is hair loss from hats? Or at least it’s very unlikely your hat is the reason your hair is falling out. If you’ve noticed your hair is thinner than it used to be, there are a whole host of more likely explanations. In men, for example, over 90% of hair loss is androgenetic alopecia – male pattern hair loss. And male pattern baldness has a large genetic component. Men with androgenetic alopecia have hair follicles that are particularly sensitive to the hormone dihydrotestosterone (DHT). The good news is there are steps you can take to lower DHT levels and hold on to your hair. However, taking your hat off is not one of them. Women suffer from pattern hair loss too – although the exact cause isn’t quite as well understood. Excessive styling is another common cause of hair loss in women. If you’re dyeing, straightening, and blow-drying your hair very frequently, this all takes its toll! Before blaming your hat, try reducing the damage caused by styling. There are many different causes and many different types of hair loss. Some are more common than others, but hair loss from hats is rare. Can hats cause hair loss? If you wear a hat that is excessively tight, and for extended periods of time, it could reduce blood flow to hair follicles and prevent hair growth. But the most likely reason a hat would cause hair loss is by pulling on the hair, leading to traction alopecia. Traction alopecia occurs when the hair is exposed to continuous mechanical strain, for example from tight ponytail or braid hairstyles. Wearing tight headgear could cause a similar type of friction, making hair break and fall out. Also, if a hat is regularly taken off and put back on this could pull on hair, exacerbating the problem. Finally, an outside possibility is an allergic reaction to the hat itself. It’s unlikely, but certain materials can irritate the skin, which could cause hair loss. This is likely to be characterised by a red, itchy scalp. Other than these rare cases, though, it’s difficult to see how a hat could be the cause of hair loss. You can see where this myth came from. Being in such close contact with your scalp, it seems plausible that hats could cause hair loss. What’s more, many of those who are losing their hair wear hats to conceal their hair loss, consolidating this connection. But it is just that – a myth. There’s no scientific evidence that wearing a hat causes hair loss. Unless you’re allergic to it, or your hat is incredibly tight and constantly getting caught up in your hair, it won’t cause your hair to fall out. If you are experiencing hair loss, it is important to understand why. There is no one-size-fits-all hair loss treatment, so it’s important to understand the underlying cause first before attempting to treat it. Consult your doctor, do your research, and if all else fails, try leaving the hat at home! Visit the forum for the latest hair loss treatments and success stories! Previous post: Does Creatine Cause Hair Loss? What is the Best Finasteride Dose for Hair Loss? 1mg? 0.5mg? 0.25mg? 87% Hair Regrowth from Onion Juice? Pygeum Africanum: Natural DHT Blocker and Hair Loss Treatment? Cetirizine for Hair Loss: Are Antihistamines a Cure for Baldness? Taurine for Hair Loss: More Effective Than Propecia?